←I’m About to Embark on a Quest! Are You Ready for the Biggest Week in Multipotentialite History? For one thing, I can’t believe that I have stuck with anything for this long (heh). But in all honesty, running Puttylike has not only been continuously exciting, it’s been an absolute joy. And you know why it’s felt so rewarding? Well yes, I get to do many things in service of my work, it’s a Renaissance Business, provides me with variety, yada yada… But mostly, running Puttylike for four years has been so rewarding because of YOU. You, the multipotentialite community, have continuously inspired and pushed me. Puttylike wouldn’t be what it is without your love, support, participation, collaboration and word-spreading. I am so incredibly grateful and I can’t believe how many amazing people I’ve had the honour of interacting with and becoming friends with these past few years. Thank you. From September 23-25, you, I and our whole community are going to take over the web. The point of Puttyfest is to both celebrate our multipotentiality and spread the word to help increase social-awareness and acceptance of multipotentialites. 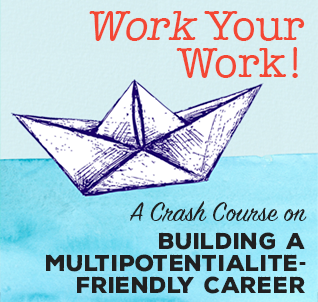 Publish a blog post about how being a multipotentialite has enriched your life. You can tell a story or use whatever structure you like. Schedule your post to go live on September 23rd or 24th and be sure to link back to this post in your post. That way I will get a “ping” and be notified that you’ve written a post for Puttyfest. On Sept 25th, I will publish a blog post on Puttylike that includes a list of all of the posts you guys have published, and links back to your sites. Puttyfest seems like the perfect time to unveil our beautiful new screen-printed, Multipotentialite shirts. There are only 100 shirts (of various sizes) that are printed and will be available to order during Puttyfest. Puttyfest runs from September 23-25. Be sure to mark it on your calendar, so you don’t miss out on all the festivities. I truly can’t wait to celebrate with you! 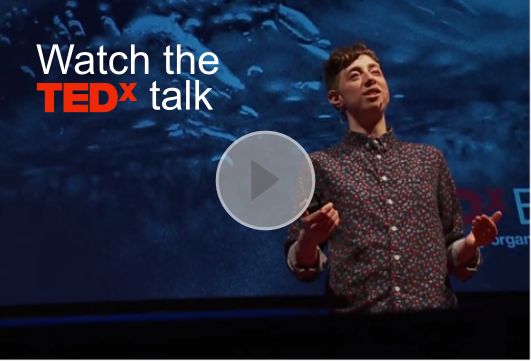 Lets show the world what it means to be a multipotentialite and why we’re proud. p.s. There will be a few other surprises during Puttyfest, including prizes and some sweet discounts. More info coming soon. Will definitely support the event! :) How I wish I can hangout with fellow multipotentialites in the future! Haven’t joined the Puttytribe yet but I’ll support this 100%. Gotta mark the date. No worries at all if you aren’t in the Tribe. This is meant to be a public/open event. 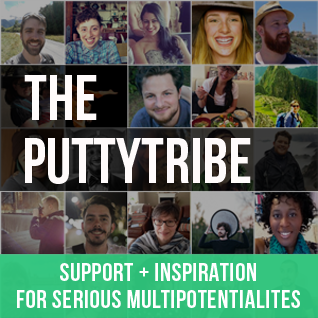 So, it’s for everyone here on the blog and in the broader Puttylike community, not just members of the Puttytribe. I’m not only not in your tribe (though I visit this site when I remember it), but I have no blog. I’ll see what happens. Lovely ideas! I’m already putting some thoughts for the blog post together. Will be great to go through the list then. Heh never. And yay! Happy to have you involved, Nela. Wonderful idea! I’m going to get started writing my blog post. So excited to be a part of this! 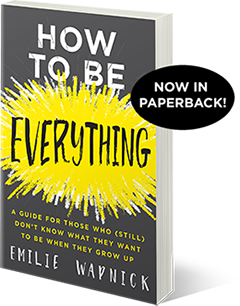 I can’t wait to read it, E.K.! This sounds like a great event. I will definitely participate. I new to your blog but I have to say once finding out about it and reading your story it feels like a breath of fresh air.. I literally said out like “she gets it” Looking forward to connecting with everyone during this event. Hey Emilie. I’m working on my post right now. I look forward to reading what others write and getting the word out to my followers and clients, many who are multipotentialites. Of course, I just saw this today! I’ll have to see if I can get a post put together in the next couple of days. :) Maybe a good lead article for the newsletter I promised myself I’d get out. One thing I’ve had to learn as I accept my multipotentiality stuff is that to hit all my interests, I’ve got to repurpose material if I want to keep my sanity. Done! 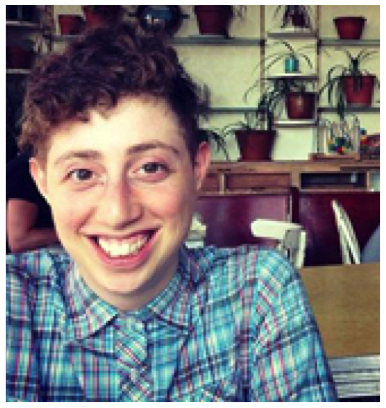 I just published my story as a multipotentialite and Renaissance Woman. I hope that you get the pinback. Great idead! Lots of luck! Oh, OK, here’s my link too, just in case. Hi, Emily. I don’t have a blog yet but I will post a link back to this page on my Facebook page. Same like others, I don’t trust technology :) To be sure, I just posted http://phoenixrise.cz/being-a-multipod/. Looking forward to what others wrote! Hi Emily! I’m absolutely agree with your conference about multipotentiality people. I’m one of them and althought I’m fine with myself (I’m a confidence person), I’m worried. This is my last year in the secondary school, so I have to choose a career! I’m not going to study just one thing but I have to start with someone. The problem is that I don’t know how I should organize my studies. I would like to do a lot of things, I love the knowledge. I can’t imagine myself doing the same work whole my life. I have been trying to find the intersection between my interests but the results that I got aren’t enough for me. I would appreciate if you help me with some advices and ideas. The things that I like are psycology, philosophy, all types of art (drawing, photography, literature, music, etc), history, maths, ecology, sociology, political sciences, international relations and the study of foreign languages. What’s more I obsses with the perfection. I’m always trying to instruct to do the best with the thing that I want to do. I love to plan all things. My brother wants that I finish this with the expresión: “I’m a book worm”. Yours Faithfully, Camila. Hi!!!! I just joined today! I’m from Argentina and I ‘ll definitely support it! !.